Maki is a Partner at Arthur D. Little’s Tokyo office, where she heads the “Healthcare & Life Sciences” and “Consumer Goods & Retail” Practices of Arthur D. Little Japan. Her expertise ranges from visionary leadership planning to mid-/long-term corporate and business strategy planning, including international business expansion, R&D and technology innovation. She has extensive experience supporting leading Japanese and international companies in the fields of FMCG (fast-moving consumer goods) and healthcare from B2B to B2C. R&D strategy and business planning in functional foods/beverages (several projects for successful Japanese companies in the FOSHU industry) from ingredients to packaged goods. Visioning, scenario planning and strategy development in R&D and IP management, as well as new-business development in Consumer Health. R&D management to help the client become an innovative learning organization (from strategy and processes to organization development). Various partnering and due-diligence projects relevant to the above areas. 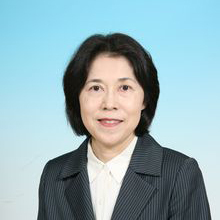 Maki is also a well-known author and speaker on topics related to nutraceutical strategy development in the Japanese food and healthcare sector. She received a BS from Tohoku University.